Two initial concerns that were bugging me a bit before I made the trek to view the fourth in The Terminator series, ‘Terminator Salvation’. One would be Kalamazoo homeboy McG directing – note that my man is like forty plus now and though the man can call himself anything he so well pleases, even L.L. Cool J refers to himself as James Todd Smith now. Just throwing it out that I wouldn’t be mad at him if he chose to call himself John McGinty or whatever his real name might be. Anyway with McG’s previous films it didn’t seem to me that he had a style which would be all that conducive to creating what I thought a Terminator film should be. This leads me to my second and more pressing concern and that would be the PG-13 rating as this Terminator would be the first to have such a rating. How in the world can you have a PG-13 Terminator movie? As it turns out neither concern was a valid one as McG has crafted a terrific darkly hued action movie, if not the smartest movie around, and if this movie was released in 1984 as was the original Terminator flick, it would be probably be R-Rated as well. Our film opens in the year 2003 where we look in on soon to be executed convict Marcus Wright (Sam Worthington) who has agreed to turn his body over to Dr. Serena Kogan (Helena Bonham Carter) for some scientific experiments. What in the world does this have to do with Skynet becoming self-aware? We will soon find out my friends. Or not. events since before he was even born. The leaders of this resistance aren’t all that happy with Conner since his prophecies often fly in direct opposition to their strategies but whaddayagonna do? He’s John Freaking Conner. Good news though because due to a rather successful, but costly raid of some Skynet outpost Conner has retrieved some critical information which just might be able to end this war for good. But back to Marcus Wright who has resurfaced not looking a day older than when we last saw him fifteen years ago. Marcus is completely unaware of the events that have transpired over the last decade and a half but has stumbled upon an unlikely freedom fighting duo consisting of a teenaged boy named Kyle Reese (Anton Yelchin) and a tiny cute mute girl named Star (Jadagrace) who fill my man in on the real deal on the planet earth in the year 2018. Marcus quickly becomes attached to the cute kids and when they get snatched up he vows to get them back. He could try to do this himself but a chance meeting with pretty resistance pilot Blair Williams (Moon Bloodgod) leads Marcus to meet with John Conner which will hopefully lead to Marcus retrieving his new found partners. But not so fast my friends because Marcus has a secret that even he is unaware of which is not going to endear him all that closely with these resistance fighters he has just met. Thing is that John Conner is desperate to get to Kyle Reese, for what I hope are obvious reasons, since Kyle Reese is number one with a bullet on the Skynet hit list and the only person who can help him do this is Marcus. But on whose side is Marcus on? Whatever happens be certain that explosions will follow. Note that we could levy the same criticism against this new Terminator movie that we levied against the new Star Trek movie in that despite the fact the new Star Trek movie was wildly entertaining, in spirit it was barely a Star Trek movie but more of an action movie set in space with the Star Trek characters in it. The same applies here as the spirit of the Terminator franchise is absent here and has completely changed which will probably upset quite a few of the franchises die-hard fans as philosophy and light humor has been replaced by destruction and human suffering. One of the criticisms that I’ve read in relation to this movie is that is relies too heavily on the action, and while we make no mistake that this is an action movie first and foremost as those guys in the backrooms with the computers were doing there darndest to bring this gloomy dark world to life, it’s not quite as vacuous as one would lead you to believe. The action is tight and well done with terminators of all kinds of varieties populating this new world with every single one of them having some mighty bad intentions. The narrative is a dark one, but then I would expect as much considering that layout of the universe has changed drastically since we last visited the Terminator series and the effort was made to have some kind of coherent and multi-layered story line to support the myriad of action sequences. The screenwriters didn’t always succeed at this because as the movie went on the story spiraled out of control a bit as it appeared the story elements began to exist only to support the crazy action, but from my vantage point this occurred near the finale and wasn’t as evidently present in the films early stages. Performance wise ‘Terminator Salvation’ is more a Sam Worthington film than a Christian Bale movie as Bale seemed to continue Linda Hamilton’s character from ‘Judgment Day’ pretty much playing the one note of angered hostility all the way through. Worthington’s character is the one who had to handle the emotional changes in addition to the majority of the action set pieces and the Australian actor handled the task admirably, even though that accent did pop up here and there. Though there wasn’t a heckuva of a lot for the other actors to do except look pissed off most of the time, Common, Michael Ironside, and Bryce Dallas Howard did the best they could with the minimal roles they were given. The bottom line, at least for me, is that I enjoyed this take on the Terminator series. Eventually the film had to go into a different direction since sending terminators back in time to save John Conner was getting a little stale. 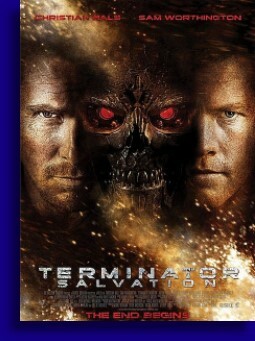 I did have some issues with the timeline in this movie in relation to the other Terminator movies and I really had some issues with the conclusion and they opted to resolve everything but the two hours and ten minutes that was ‘Terminator Salvation’ passed by quickly and provided me with some solid, if not fractured entertainment.